aka Jack Cannon, Kurt Ladner, Michael Weaver, and Brad Matthews. Join us in welcoming New York Times bestselling author Nelson DeMille, as he signs and discusses his latest John Corey novel, Radiant Angel. Former NYPD detective John Corey is contracted to the Diplomatic Surveillance Group. He and his team keep an eye on Russian diplomat Col. Vasily Petrov whom they suspect is a member of the Russian Foreign Intelligence Service. When Petrov gives the DSG the slip, Corey fears the Russians have planned an attack on America of epic proportions and it’s up to him and rookie agent, Tess Faraday, to stop it. This is a numbered event and numbers for the signing are free with the purchase of Radiant Angel from Mysterious Galaxy. This is a numbered event – numbers for the signing line are free with the purchase of Radiant Angel from Mysterious Galaxy, available May 26th, starting at 10 AM! If you are planning to attend the event, please do not place your order through the web site as all such orders are processed after the event. Instead, please come by or call the store and purchase the book on or after the on-sale date. In Bill Morris's 1992 debut, Motor City, the veteran journalist and staff writer at The Millions skillfully explored the city at the height of the automobile's Golden Age. Michiko Kakutani compared him to Updike, and Frank Rich praised the novel's recapturing of the "clean, voluptuous pleasure" of the ‘50s—the "first American decade that could be caricatured by the brand names of its material goods." In Motor City Burning, Morris catches up with Detroit as that idyll is just starting to crumble. Straddling the race riots of 1967 and Opening Day of the Tigers' 1968 season, Motor City Burning evokes the turmoil and the triumph of the time, with a keen eye toward a city that has become, in the contemporary imagination, analogous with the tragedy of shifting values. Morris is touring the southeast in a vintage American woody, and he's bringing Motor City Burning and its Motown soundtrack to Atlanta. On Thursday, July 31st, at 7:00 p.m., Morris reads from and discusses Motor City Burning at The Reading Room, A Cappella's new event space, adjacent to the store. “A Star for Mrs. Blake is a beautifully written, meticulously researched slice of American history. April Smith’s poignant and tender story of five courageous World War I Gold Star mothers’ amazing journey across the sea is one you will never forget.” Fannie Flagg, author of The All-Girl Filling Station’s Last Reunion “April Smith has written a beautiful and unforgettable novel about five Gold Star Mothers whose stories are both personal and universal. Writing A Star for Mrs. Blake must have been a labor of love and it shows on every page. Everyone who has served or is serving in the military, and also their families and friends, should read this book.” Nelson DeMille, author of The Panther “A heartfelt glimpse into a little-known episode in U.S. history. . . Smith’s historical fiction is captivating and enlightening.” Deborah Donovan, Booklist (starred review) April Smith is the author of the successful novels featuring FBI Special Agent Ana Grey as the central character. She is also an Emmy-nominated television writer and producer. In her research for A Star for Mrs. Blake, she traveled to Maine, New York City, Paris, Verdun, and the Meuse-Argonne American Cemetery. Her home base is Santa Monica, California, where she lives with her husband. Mystery Book Group - "Night Fall"
Join our Mystery Book Group for a lively discussion beginning at 7:00 p.m. on Wednesday, April 24. Unless otherwise noted, we meet on the 4th Wednesday of each month at Books & Company. All community members are welcome! This month we will be reading and discussing Night Fall. Book Group selections are available at Books & Co. for 15% off the list price. Nelson DeMille signs The Gate House. Nelson DeMille's book The Mystery Writers of America Cookbook was available from LibraryThing Early Reviewers. 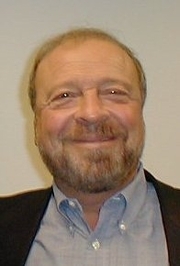 Nelson DeMille is currently considered a "single author." If one or more works are by a distinct, homonymous authors, go ahead and split the author. Nelson DeMille is composed of 18 names. You can examine and separate out names.